Isplchennai is one of the top providers of an advanced inbound/outbound website and help desk services. Our cost effective, efficient, fast and professional solutions have been widened across the globe. We provide the most flexible customer support options. We go in for the following supports .i.e. hardware/software billing, professional internet, call support etc. Our solutions for your help desk/technical support services deliver a smooth and satisfying help desk experience. Our proficient help desk/technical support team will analyze the current trends and go for the training to make known them the details and specifications of your product/services of your business. This in return maximizes the responsiveness to internal/external customers and by doing so it helps to protect the name and fame of your business/organization. Our operators at Isplchennai are highly-trained to afford customers with proper guidance. Help desk services at Isplchennai includes the enquiries about billing, shipping, account management, handling simple/complex questions,resetting passwords, email support - response, call forwarding, sales questions, maintenance, troubleshooting, repair etc at an affordable price. Call forwarding services is done if in case our professionals are unable to provide the required definite solution to the customer. Our help desk action services will be in retrievable format and it reveals you the information about the number of calls done, the kind of queries lifted up by the customers. This in turn helps you to frame the layout about your customer needs and requirements. Isplchennai is there for you to provide Help Desk/Technical support solutions to make your customer happy and lends with increase revenue. 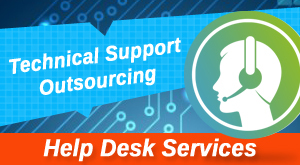 We promise to outsource the help desk / technical support services at a very lowest rate in the industry.